Glencoe Marketing Essentials is the top selling book in marketing education because it includes all of the current hot topics: e-marketing, marketing ethics, and international and cross-curricular marketing. Students get a step-by-step introduction to creating marketing plans. Glencoe Marketing Essentials is the top selling book in marketing education because it includes all of the current hot topics: e-marketing, marketing ethics, and international and cross-curricular marketing. Students get a step-by-step introduction to creating marketing plans; DECA prep activities help students gain confidence in using the skills they've learned. 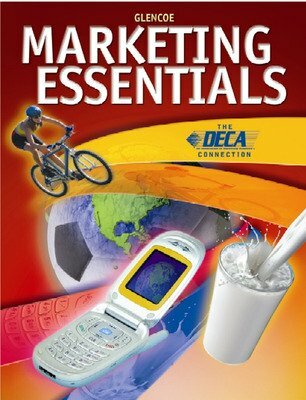 Marketing Essentials also provides teachers with all the support materials they need.